Dave Hardy’s sculptures proceed from the abstract assembly of salvaged industrial materials (polyurethane foam, glass plates, metal bars) and heteroclite objects (pens, modeling clay, pretzels, coconuts…). Closely interlocked, these elements compose autonomous structures of various sizes that seem to override the basic principles of balance and gravity with the grandiloquence of impossible shapes. Following game rules dictated by contradictions, Dave Hardy’s works present their visual aberration after a thorough exploration of matter, a set of gestures designed to hold together elements that theoretically have nothing in common, or almost nothing. A large part of his practice is based on a process made invisible. 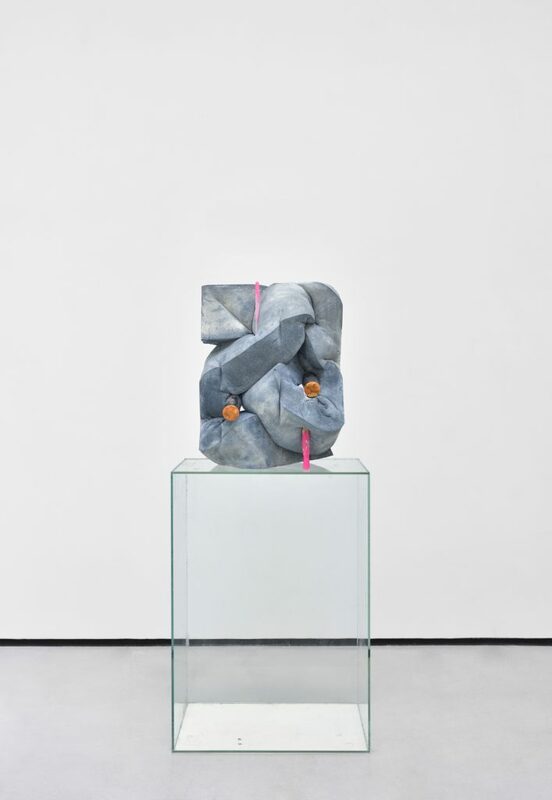 Engaged in an intense body-to-body struggle, Dave Hardy saturates the foam in cement; gorged with medium it is then kneaded, manipulated into voluptuous folds, wooden exoskeletons holding them in place before they are removed. Glass plates and objects are then pressed onto and inserted into the matter as it rigidifies, thus stabilizing the whole. 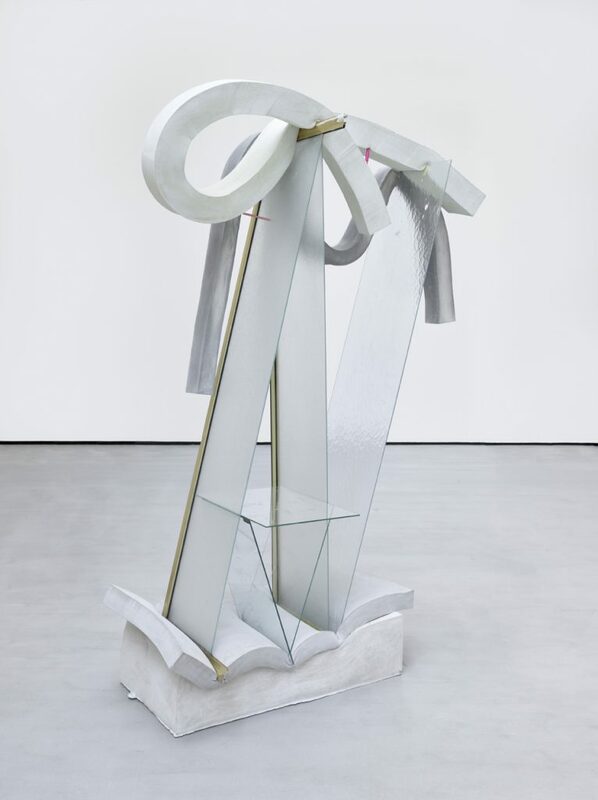 Through their strong physical presence, these sculptures, made of joint materials aggregated in unlikely contortions, incite the visitor to measure up to them and observe their proportions, but mostly and essentially, their diverging forces. 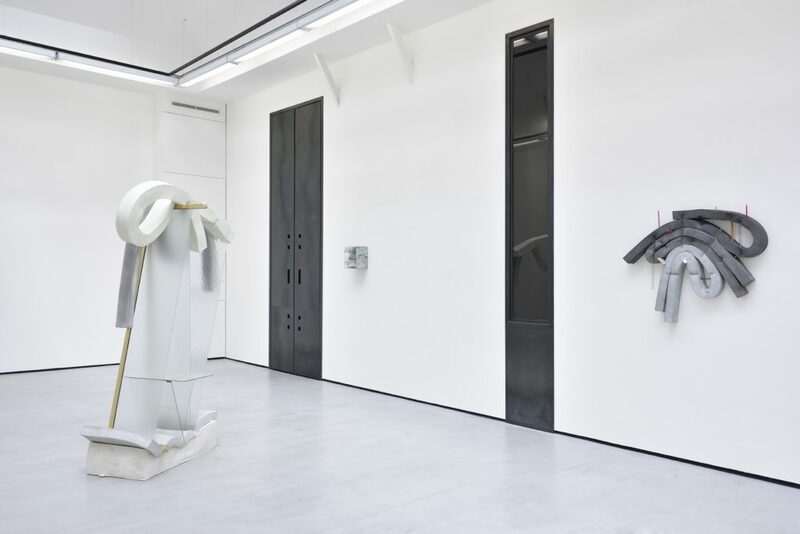 Obviously testing the limits of balance, between precocity and technicality, transparency and opacity, flexibility and density, brutality and frailty of the materials, they present multiple tensions and arouse a sense of threat. The possibility of an accident, inherent to their perception, kindle a feeling of anguish, the visceral fear of the upcoming breaking of the glass. A similar empathic reaction can be applied to the foam material whose complex folds resemble organic shapes, one could even see some of the sculptural silhouettes as anthropomorphic or even totemic. It would only be a short step to think that these sculptures express the intuition of their imminent destruction through the enigmatic force that emanates from them. The symbolism of the materials used by Dave Hardy is in no way neutralized by his formal research. 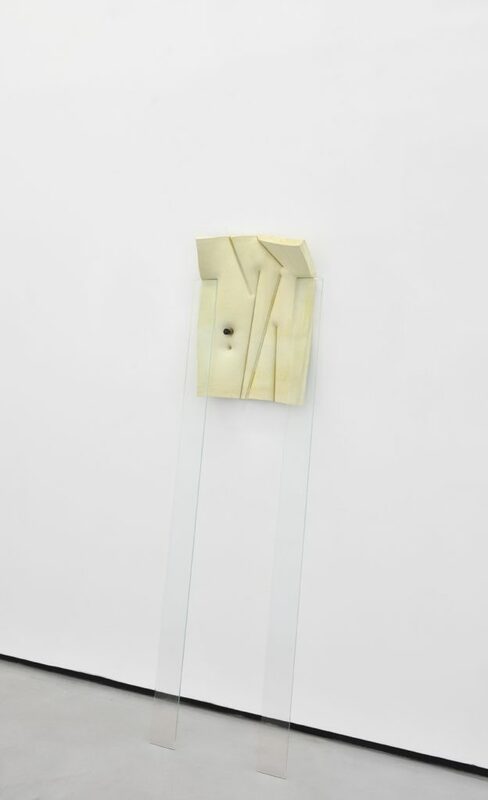 If the titles of the works keep their share of mystery regarding their origin or the meaning they could bring to the work, the recurring presence of disparate objects bring a comforting familiarity and a welcome touch of humor. For we cannot dissociate the reuse of some industrial materials, carrying within them the history of their former use, from the global context of a world on the verge of saturation—thus evoking the feeling of generalized failure. 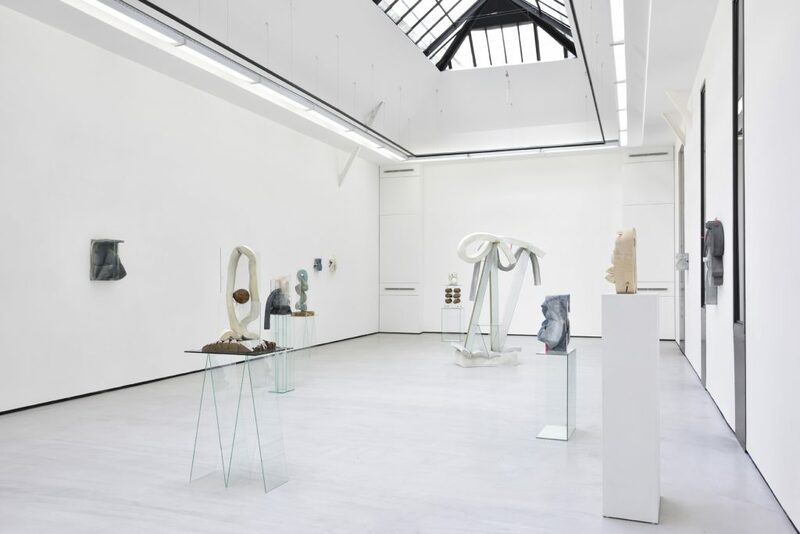 Dave Hardy, ‘Neck Pillow’ Installation view at Galerie Christophe Gaillard, Paris, 2017. Courtesy galerie Christophe Gaillard, photography Rebecca Fanuele. 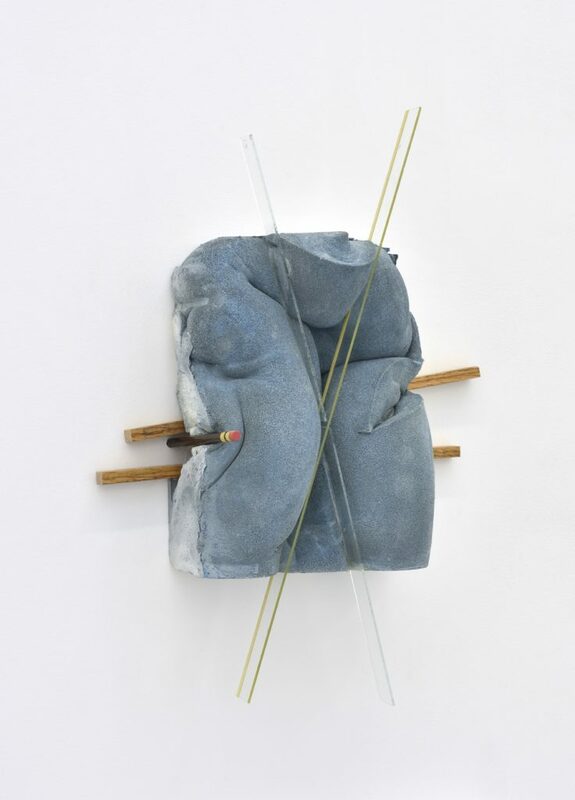 polyurethane foam, glass, cement, paint, tape, pencil, pen, aluminum, 85 x 60 x 28 inches. Unique artwork. Courtesy galerie Christophe Gaillard, photography Rebecca Fanuele. polyurethane foam, glass, cement, aluminum, paint, tint, plasticine, ink, markers, pen, wood 37.5 x 20 x 11 inches. Unique artwork. polyurethane foam, glass, cement, tint, tape, aluminum and car lighter, 73 x 21 x 10 inches. Unique artwork. 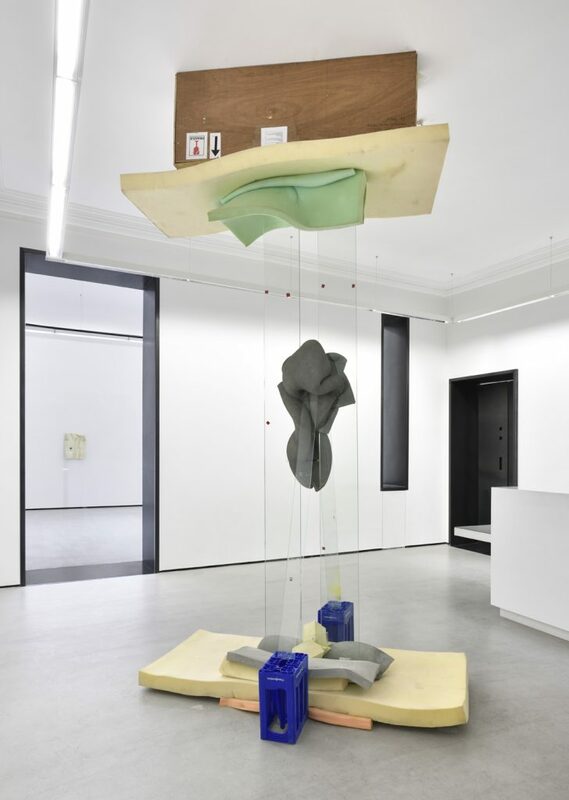 Dave Hardy, ‘Neck Pillow’ Installation view at Galerie Christophe Gaillard, Paris, 2017.
cement, polyurethane foam, aluminum, glass, tint, paint, wood, pencil, 12.5L x 4.5W x 17H inches. Unique artwork. polyurethane foam, glass, cement, ink, aluminium, pencil, plastic box, variable dimensions. Unique artwork.